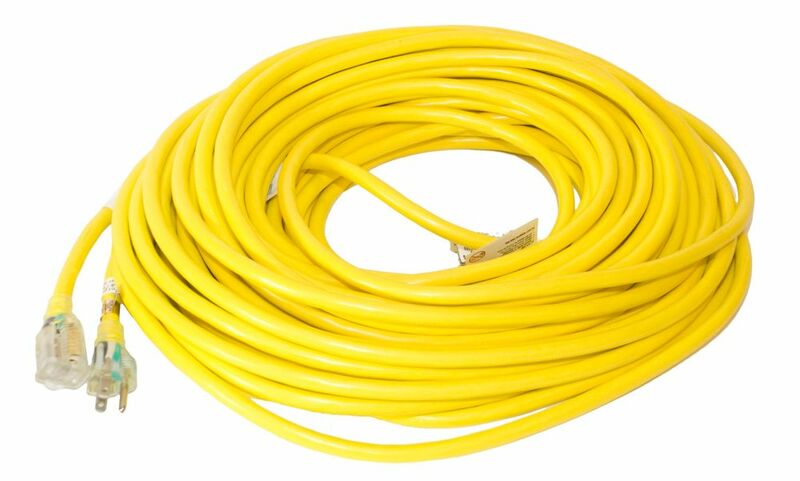 SJTW 12/3 30.4M (100Feet) Single Lit end - YELLOW Manufactured for Canadian Conditions, our Premium Grade SJTW cord is made to be the perfect all around cord for use in our harsh conditions. We include rugged and durable ends that light up when it is plugged in. SJTW 12/3 30.4M (100Feet) Single Lit end - YELLOW is rated 4.5 out of 5 by 2. Rated 4 out of 5 by Thekidsallright from Really good for the price Had this for awhile now and preforms very well. Nice and flexible and the light in the end is a great feature the only thing missing is it does not lock.